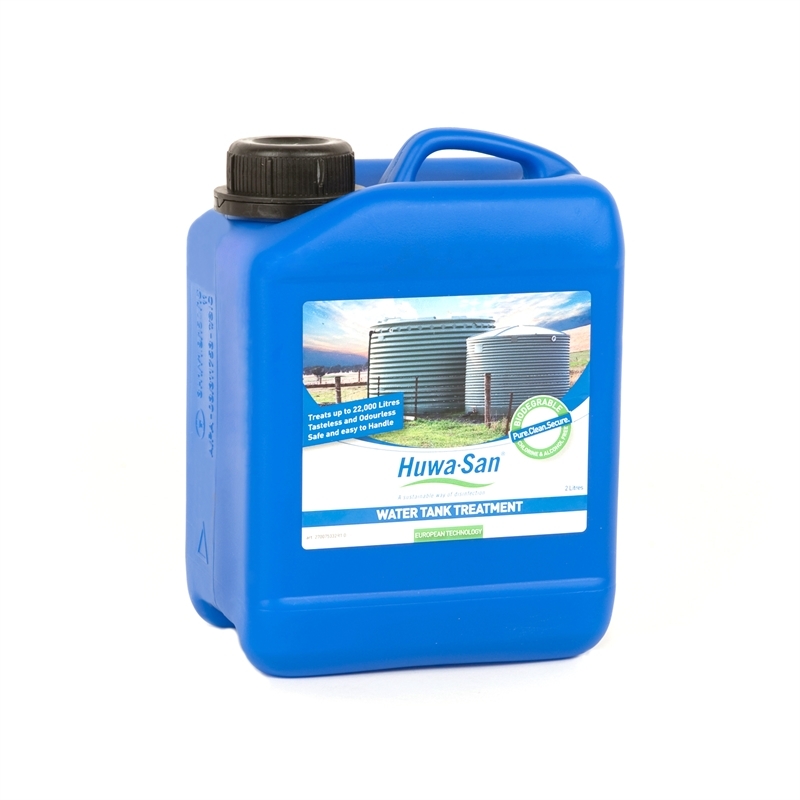 Huwa-San 2L Water Tank Treatment is ideal for tanks up to 22,000L. It is safe, non toxic, tasteless, odourless and kills all forms of bacteria including Ecoli, Salmonella, Legionella and Campylobacta commonly found in untreated drinking water. Ingredients include silver stabilised Hydrogen Peroxide.